The site is an amalgamation of 2 former large housing blocks. 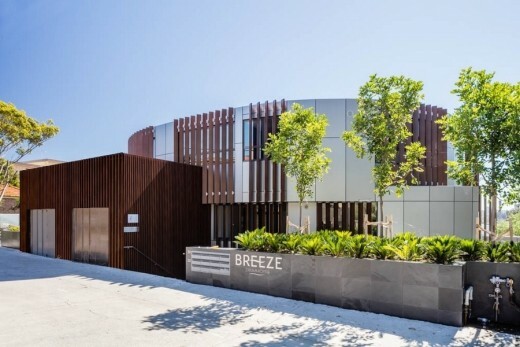 Breeze is a boutique waterfront apartment development located on the waterfront atin Drummoyne next to Peppercorn Park. 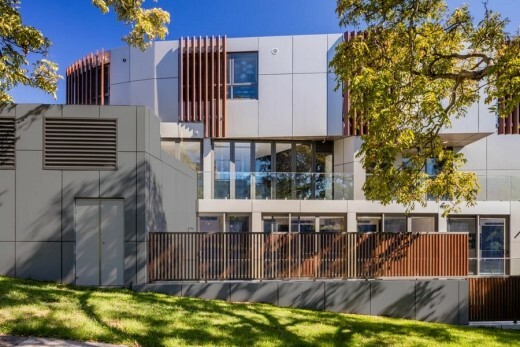 It contains 11 units, a marina, pool and basement parking. The site enjoys with panoramic views to the harbour and city. A set of maritime slipways are located in the front of the site. These are to be retained. The 5 storey building general contains 2 units per floor which are focussed toward the waterfront views. They contain wide sweeping balconies and extensive glazing. The generating principle for the design came from the view corridors. There are differing views different directions. Each room and level was angled to focus on a particular view. This resulted in a series of fingers which spread out giving the building its unique character. Metal blade walls define these fingers. Timber louvres are located at ends of these walls to give privacy and feather the massing. Following from this, the building has a curvilinear form to the street. This form creates a sculptural expression for the streetscape. View sharing was a significant issue in the approval. The process involved extensive modelling to determine the final levels to protect neighbouring views. Some plant and equipment associated with the former uses on site will be relocated. It is proposed that they may be included in the landscape on site, or provided for the adjoining park as public art. St Georges Crescent is a suburban street with established predominant setback lines. There are a number of examples of designs in the street similar to tis proposal. In 2008 a development application was approved on this site of a very similar design. This application follows most of the design controls established in that approval. This DA seeks to modify some aspects of this consent without creating any additional impacts. Context (SEPP 65 principle 1, clause 9) states that good design responds and contributes to its natural and built environment and the existing or future character of the place. The proposal is located on two consolidated waterfront properties that slope steeply from St Georges Crescent to the water line. The site extends into the water by virtue of boating rails and a finger pier that houses a small marina and a workshop. The traditional residence is seen to be a Federation two storey bungalow. Modern apartment blocks dating from the 60’s and 70’s that are common place along St Georges Crescent did not respond to this scale and are seen to be 4 or 5 storey and lacking in any individual expression. More recent apartment developments have responded to the height restrictions, but attempt to achieve commercial viability by increasing the number of floors, stepping down their sites to a 4 or 5 storey block when viewed from the waterfront. The proposal responds to the scale of the original residences of the area as well as the need for commercial viability by putting forward a new typology that created two 2-storey volumes that are visually separated. The building form as perceived from South (from St Georges Crescent) continues the scale of the street to South, which is comprised of a single storey garage structures and upper levels of buildings. The proposed development is 4.5m set back from the boundary. As stated above, in 2008 a development application was approved on this site of a very similar design. This application follows most of the design controls established in that approval. This approval established key setbacks for this site. The front setback to St Georges Crescent matches the approved design which is consistent with the predominant street alignment. Similarly there is a predominant zero setback for garages. The proposal locates the double car lift similarly on the street in place of a garage. 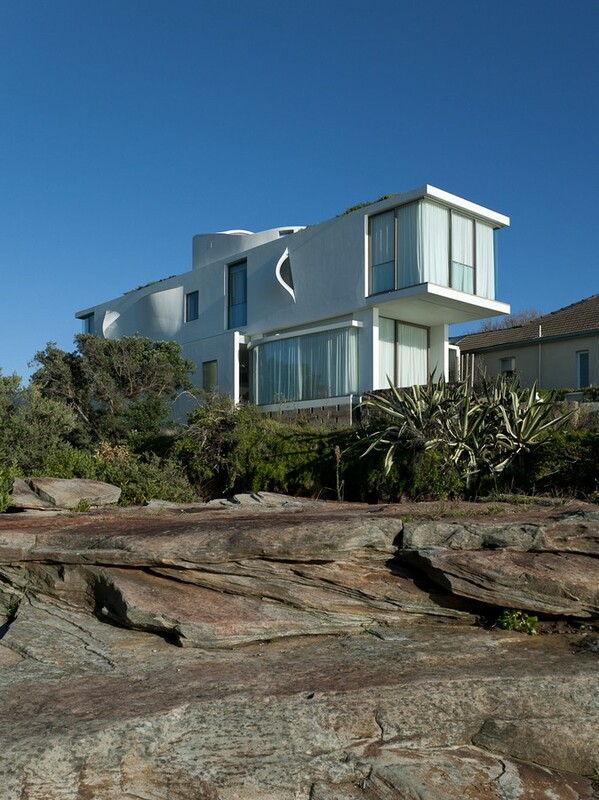 The building conforms to the foreshore set back line. The side setbacks match the approved DA. On the north ther is a 3m deep soil setback at B2 and B1 increasing to 5m at GL,L1,L2. This setback has no excavation. To the south there is a zero set back at B2, 3m set back at B! and 5m set back at LG, L1, L2. The massing is consistent with the approved design. This design was derived through an extensive analysis of the best massing to respond to the context of the site and surrounding buildings. Whilst it has an additional storey, this equates to an additional height of approx. 1.5m. However, this height is located to the west of the site increasing the set back to the foreshore. As a result the impact on the view to surrounding buildings is negligible. The view analysis and view sectional studies demonstrate that the key views from adjoining buildings are not significantly impacted. Is is noted that the proposal has been designed to comply with global warming sea levels as such it must meet more stringent standards than the approved DA. The proposal presents a 2 storey expression to the street which is consistent with buildings in the area. The site stepping allows for the form to be perceived from the St Georges Crescent (South Elevation) as a single storey element. This is in line with the existing scale to south along the St Georges Crescent which is comprised predominantly of the superimposition of garage structures and upper levels of residential buildings beyond. Like the approval, the proposal contains a modest commercial space associated with the marina. This space will contain marina offices, toilets and a small café. The design maintains the same shapr and form as the approval. There is an additional half level and terrace area. This addition will have no impact on surrounding residents in terms of views, massing or bulk and scale. Following from the above, the building has been designed to maximise solar and view performance as well as minimise impact to adjoining properties. The lower 3 levels are almost identical to the approved design. Thise includes the provision of themassing forms 2 blocks with a view slot between the units. 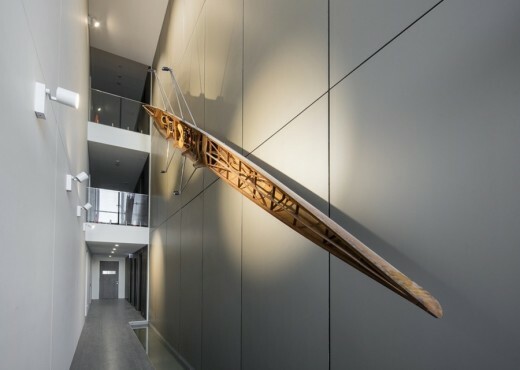 This slot forms a void space which allows a view to the harbour from the entry lobby and for all of the corridors. This 3 storey void has a water pond at the base. and is a significant improvement on the approval. This axial element is carried though to the street. The use of theThis small development contains 2 car lifts to allows the removal of the porte coucher and curved driveways to the street. These are replaced by gardens. The result is a much more attractive entry area with less impact to the street. resolve the parking on a tight site. The lines of the building are generated by extending the lines of the slip ways on site to create the massing. The design derives from the differing views from the site. These views create different angles. The views to the front are of the harbour. The views to the city are further south. In addition there are views across the park which allow views from the rear units which creates an additional angle. These views generate different angled elements which, like fingers create a unique and beautiful massing. Following from this, the building has a curvilinear form to the street. This form creates a sculptural and beautiful expression for the streetscape. 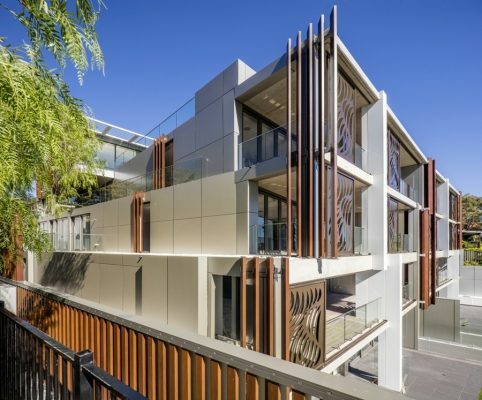 It also peels back the building allowing greater view sharing for the neighbours as well as pedestrians particularly on the southern street corner as pedestrians approach the park. This massing will become a significant positive element in the streetscape. The massing and scale is consistent with recent developments which characterise the surrounding area. The density of the proposal is consistent with the controls and is consistent with recent developments which characterise the surrounding area. In addition the density is appropriate for the area and results in a building of high architectural merit. The traffic study demonstrates that this proposal will have a very minor impact on the surrounding neighbourhood. thermal stability and minimises energy use. The proposal contains water collection and recycling initiatives for the garden areas. The landscape plan maximises the available space for streetscape planting and resident amenity. Like the approval, the plan maximises the soft landscaping on the side boundaries for privacy and to soften the development. Also there is extensive landscaping at the foreshore. The loss of the extensive curved ramped driveway and parking at the street frontage significantly improves the streetscape presentation and the landscaping to the street. In the approved DA the street frontage contained a large expanse of paved driveway. In the proposal the streetscape consists of an extensive terraced planted area with terraced water features and a clear and direct entry sequence which orients the visitor directly to the lobby and on to the view. In addition the areas between the building and the street contain private open space for the amenity of the residents containing planning and terraces. Like the approval, the side boundary areas contain terraced planted areas and courtyards to bring light to side bedrooms. The waterside areas contain areas of lawn and privacy hedges for residents. Like the approval the commercial marina space contains a residents pool area, timber decking and outdoor dining. A new light weigh bridge is located in front of the building. This bridges over the slipways allowing public access to the foreshore and to the marina. It will touch the slipways lightly and may be removed and constructed such that if removed in the future will not impact the slipways. Similarly a new deck is located over the northern most slipways which will have minimal impact and can be removed in the future without impact. The use of timber batten and stone walls define spaces and the use of native vegetation assists with low water usage species and is consistent with the waterside location. The proposal will result in high standards of amenity for the future occupants of the building. All apartments have lift access from the basement parking areas and lobbies, this ensures all units are fully accessible. Performance Criteria: 60% of units should be naturally cross ventillated. 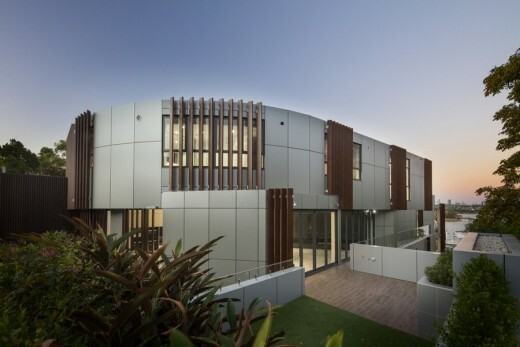 Performance: The building is compliant as 100%, are naturally cross ventillated. This achieved by units being ‘corner units’ and ‘through units’. Performance Criteria: It is expected that 70% of apartment living rooms should receive direct sun penetration for minimum 3 hours per day between 9 am and 3pm. Performance: The building is compliant as 72% of units satisfy this criteria. See solar diagrams. Performance Criteria: Prefered maximum internal building depth should be 18m. Performance: The building is consistent with the approvaed design and given the unique site and design this control is not applicable. Performance Criteria: The maximum internal unit depth for single aspect units should be 8m. 5)	Performance: The building is compliant as there are no single aspect units in the devlopment. Performance Criteria: 25% of kitchens to be naturally ventillated.The rear of kitchens to be maximum of 8m from glazing. Performance: The building is compliant as 90% of units units have kitchens which are naturally vetillated. Performance: The building is compliant as all units have the minimum required internal areas accoring to sepp 65. 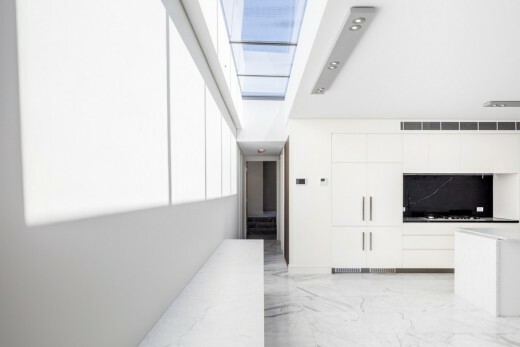 Performance Criteria: The minimum ceiling height for living areas is 2700mm. Performance: The building is compliant as all units have 2700mm ceilings. Performance Criteria: The recommended maximum number of units addressing a single corridor is 8. Performance: The building is compliant as all lobbies have a maximum 3 units addressing corridors. Performance Criteria: The minimum depth of balconies is 2m. Performance: The building is compliant as all apartment balconies are minimum 2m deep and often over 3m deep. Performance Criteria: The minimum requirements for storage are set out in the design code. within the unit and the remainder in the basement. The development allows for access to the Marina via the elevator in the central entry foyer. This elevator leads from the front doors to direct access at B2 out to the Marina via a designated right of way. In addition adequate parking is provided for residents, visitors and marina uses. A variety of security measures have been incorporated into the design of the apartment building. The main entry space is overlooked by the units above. The basement carpark is secure providing security for residents and visitors arriving by car. There is also good passive surveillance for the approaches main entry lobby areas which are also secure. The proposal will provide an increase in the residential housing available in Drummoyne, consistent with Council’s vision for the development of the area. The building will contain 11 high quality apartments that are large in size with generous public open spaces, that will enrich the quality of the dwelling product currently available in the area. The development with its disposition and additional amenities created by the marina component will provide a quality facility that is reflective of the needs of the social demographic in the area. Furthermore, the marina component will be easily accessed by the public and will add interest and amenity to the public spaces associated with the Peppercorn Reserve and the foreshore promenade. All apartments are generous in size and include 2 – 3 bedroom and 5 – 4 bedroom apartments. These will serve to provide accommodation for a wide mix of occupants including large families and retirees. All units have generous storage provisions both inside and outside of the apartment with a dedicated storage space located at basement level. The site is located close to a range of shops, community facilities and services and has good access to public transport. The generous communal open space provisions within the development will further enhance facilities for residents and provide improved pedestrian networks together with the additional amenity provided by the marina component of the proposal. The massing of the building has been designed to respond to its context, and views. The unique fanning fingers design will be a unique and beautiful design which will raise the quality of design in the area. The building has been designed to respond to environmental issues. The sinuous curvilinear lines of the building evoke the waterside relaxed environment. This form creates a sculptural and beautiful expression for the streetscape.The building is primarily clad in light metal panels echoing the hull of a ship. The façades utlilise extensive timber louvres and screens to balconies. This creates an operable façade which can assist in the control the amount of solar penetration, privacy and shelter, it also adds lightness to the building. 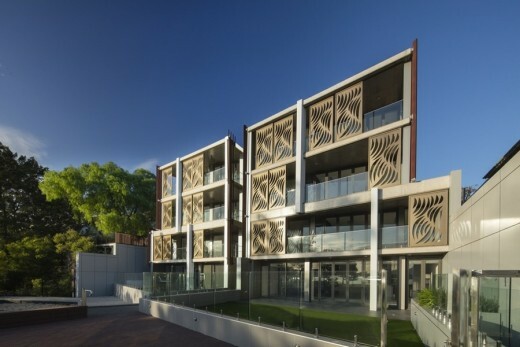 Additional laser cut screens are located on the balconies in an organic pattern. The stepping of the building minimises view impacts and creates extensive terrace areas for resident amenity. The use of planters minimises overlooking from one balcony to the next. The façade materials are of similarly high quality. The building is primarily clad in textured metal panels such as zinc. 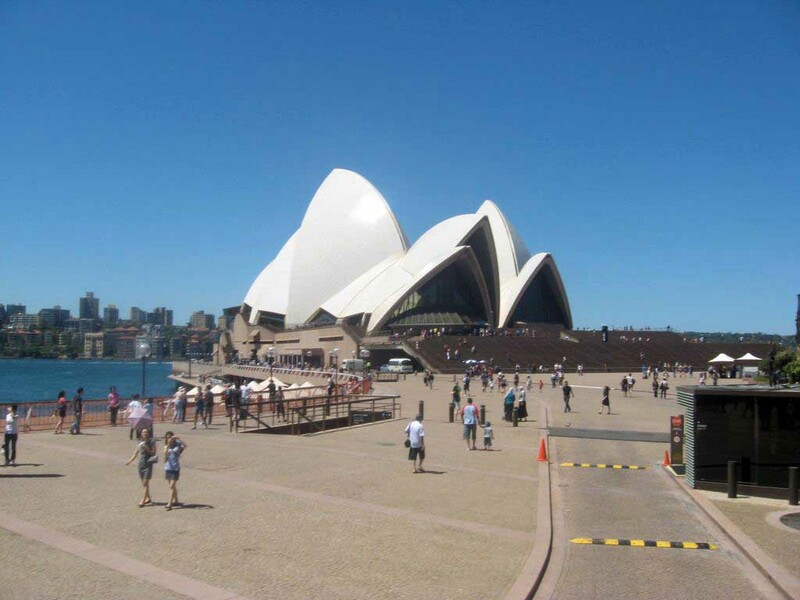 This creates a non-reflective weathered appearance suitable for the foreshore. An organic laser cut pattern is cut into the panels to create a more rich and layered façade. 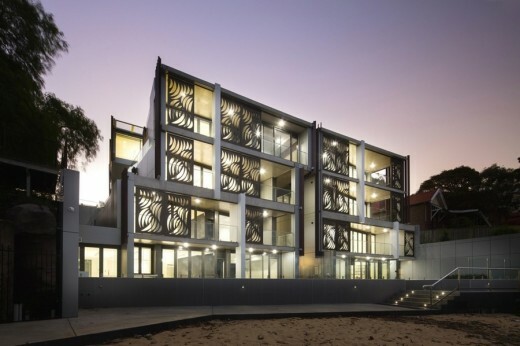 There is extensive use of vertical timber louvres for privacy and solar control. Dark tile clad walls define the garden terraces and form a contrast to the light building. This creates a rich and soft appearance and minimises the impact of the glazing. 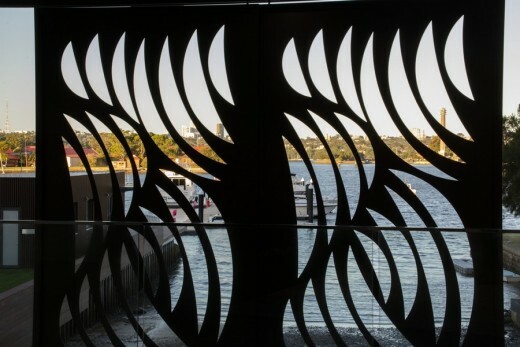 Timber louvresSimilarly, specially designed organic laser cut metal screens are used to shade glazing to the water front are used on the waterfront façade and to minimise the extent of glazing to the foreshore. Stone walls are extensively used on the facades and landscape to create a rich and harmonious expression. The proposal presents a massing of high architectural quality which will become a design benchmark for the area. 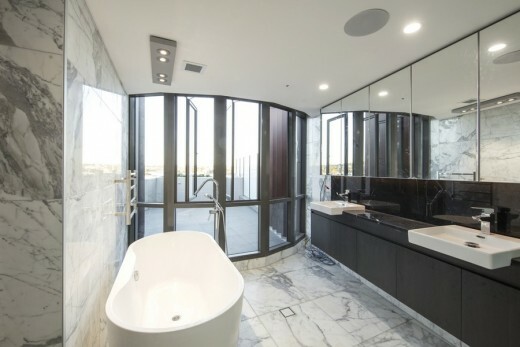 The luxury interiors have full marble floors and bathrooms. The units are designed in a minimalist style with striking white kitchens offset by dark timber joinery. This statement is provided pursuant to the requirements of Clause 50 of the Environmental Planning and Assessment Regulation 2000. It verifies that I, Tony Owen an architect registered under the Architects Act 1921, designed the building subject to this statement (referred to as 30-32 St Georges Crescent, Drummoyne) and that I am of the opinion that this building achieves the design quality principles of Part 2 of the State Environmental Planning Policy No. 65: Design Quality of Residential Flat Development (SEPP 65) as discussed below.